Trackmania 2: Lagoon is the fourth Trackmania 2 game, the most popular installment of the series created and developed by the French studio Nadeo. In terms of mechanics, the game uses the same system we know from the previous installments in the series. We race against other drivers on uncommon and crazy race tracks. Though the overall premise of the game did not change, it has a rather different climate, literally. Trackmania 2: Lagoon gives us access to sixty five tropical race tracks that are the revamped version of the archipelago that was available in 2016 Trackmania Turbo. Single player is still the fundamental game mode here, but Lagoon also offers a multiplayer mode with six different game modes available. The game comes with a level editor. Another installment in the series of racing games started in year 2003. For the past few years the franchise was developed by Nadeo Studio, the founders of the series, under the banner of Ubisoft. The general concepts of the gameplay are left unchanged and the objective is to complete wicked tracks, filled with various obstacles, ramps, barrels, and treacherous turns. Trackmania Turbo features 4 distinctive environments, including a tropical archipelago, a large stadium, a rocky canyon, and a hilly valley. Each of them offers different experience and requires a slightly different driving technique. In campaign mode there are about 200 tracks to complete, divided into 5 categories based on their difficulty level. There is also a multiplayer mode in which, in addition to the well known modes, Double Driver was added. This mode allows two different players to control a single vehicle. The game has also an editor traditional for the series, which allows creating new tracks. 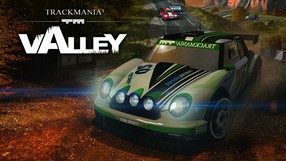 TrackMania 2: Valley is a produced by the Nadeo team crazy racing game. The authors offered a very dexterity model of jazz and fun mechanics, which focuses on performing impressive acrobatics with cars. 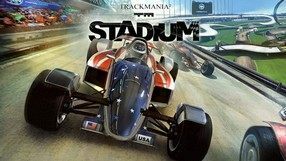 TrackMania 2: Stadium is a crazy racing game produced by Nadeo studio that transports the tracks known from TrackMania Nations Forever to a new engine. The driving mechanisms are very dexterity and place great emphasis on crazy stunts performed with cars. 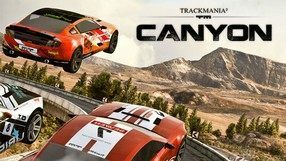 Trackmania 2: Canyon is a continuation of the popular racing game prepared by Nadeo development studio. Players not only participate in spectacular competitions, but also design their own tracks where cars race. The advantage of the game is, among others, the ManiaPlanet system, which allows you to share the created routes with others. The second installment of the pocket version of the popular PeCet series of racing games. We race and create our own tracks using the editor offered by the game. 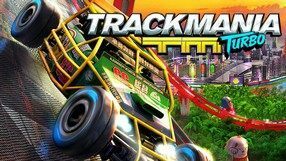 TrackMania Wii is a racing game prepared by Firebrand Games studio, in which players not only participate in crazy car struggles, but also design competition routes. The creators took care of the addictive solo mode and the possibility of competing with live opponents on a split screen. Pocket version of the popular PeCet series of racing games. We mainly create our own routes, using the components offered by the game. Trackmania United Forever is an extended version of the 2006 release of the Trackmania racing game compilation. Developers from Nadeo decided to add elements of the free Nations Forever Trackmanship to the package. Thanks to this, players can compete on more than 250 twisted tracks, abounding in all kinds of loops, hills and sharp turns. The second installment of the "Trackmania Nations" mini-series, offering an enhanced single player mode as well as more than 60 new routes. Players can also use new blocks for track design. Trackmania United is the work of the French studio Nadeo, a compilation of all the games from the famous computer racing series. There are three products under one name: Trackmania, Trackmania Sunrise and Trackmania Nations. Trackmania Nations is a free version of the extremely popular arcade racing game, created by Nadeo studio for e-sport gameplay. The rules of the game have remained the same - the player drives different types of vehicles, racing on tightly twisted tracks. Unlike the original, however, the gameplay is primarily focused on multiplayer mode. Trackmania Sunrise is a sequel to an extensive racing game, which premiered in November 2003. Competition on virtual tracks is only a part of the game here. Before setting off on the route, you should design it, at your own discretion and the possibilities provided by the programmers. Car racing inspired by the former Stunts hit. In Trackmania, before setting off on the route, we have to design it ourselves, choosing the type and shape of the terrain, the width of roads and obstacles.